Products| – Advaita Software pvt. Ltd. Instant Invoice handles all your quotation (estimates or proposals) and invoicing needs. Keep track of customer payments and track outstanding invoices. Print or email your invoice or quote. Instant reports and charts of monthly sales, customer payments, outstanding invoices and tax reports. Able to import your existing customer and product list. Integrate it with Instant Cashbook or use just the invoice module only. Fastest, easiest way to create, print & email invoices and quotes or proposals. Track customer payments, outstanding invoices and send customer statements. Suitable for most industries whether its trading, service, professional or others. Maintain a product list if necessary. For businesses with no tax, 1 or 2 levels of tax (e.g. Sales Tax, VAT, GST, PST, HST etc). Instant preview, print or email a variety of reports including sales, customer payments, outstanding invoices list and tax reports and more. 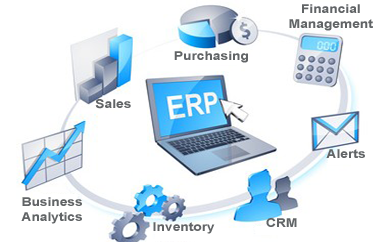 Powerful, feature rich Invoice or billing software product. Create & manage most business documents like invoices, quotes, credit notes, debit notes, delivery orders, packing list, purchase orders, letters, faxes and other business documents. Track customer payments and outstanding invoices or Accounts Receivable. Manage jobs or projects and track job profit/ loss. Purchase, sales, logistics, stock, finance and human resources management package. Acts as support and service provider to install and maintain information systems. Customer spends more time in your store selecting items but when it comes to billing – he/she needs this fast. 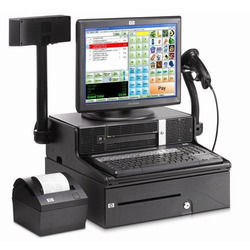 No waiting time etc.High labor turnover and relatively low computer literacy is common in retail industry, so it is critical that your POS system requires little training to operate. AdvaitaScan POS are cashier friendly interfaces that makes faster checkout and cash control, yet records accurate and legible information. Spatial calibration is Advaita to provide real world dimensional measurements such as kilometers, millimeters, nanometers, microns, miles, feet, etc. for both linear and area measurements. Advaita Image Analyser can automatically detect objects in the image, count them and calculates their positions and sizes. It can also be used for particle tracking. All measurements are written into a spreadsheet, where you can enter and edit data as well. The measurements can be exported as CSV, HTML or ASCII file formats. 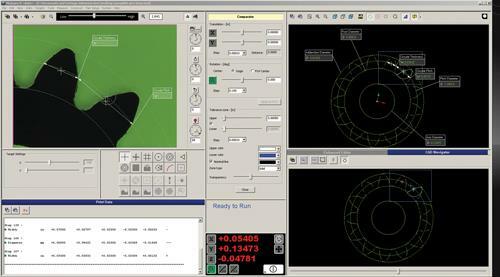 The analysed images can be exported as Bitmap or JPEG images in order to process them in another application. Advaita Image Analyser provides geometric transformations such as rotate, resize, merge, flip horizontal and vertical, rotate or flip selection. The program supports import of many different image formats and works with any number of images simultaneously. The program supports standard image processing functions such as brightness and contrast manipulation, invert image colors, channels manipulation, spatial convolutions with convolution masks and morphing filters. Placement of the measurement scale (i.e. micron bar) on top of the image. Histogram of color and gray scale images or regions of interest. Our company develops customized products to meet customer goals and business needs. As an experienced company we have enough expertise, to handle medium and large projects with great efficiency. Our focus is to provide businesses across the world with world class technology, to enhance business needs. "ADVAITA PROVIDES POWERFUL,INTEGRATED BUSINESS MANAGEMENT AND BUSINESS INTELIGENCE SOFTWARE FOR SMALL & MIDSIZE COMPANIES".